This is a closeout item. Some colors and sizes are sold out. All sales are final. Please scroll down to read on "How To Measure". We understand that ordering many items without a “try on” is very difficult. 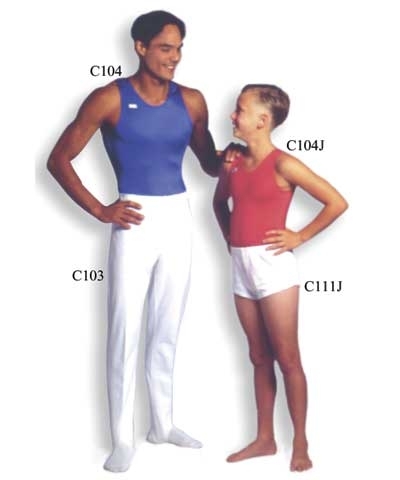 Please refer to our sizing charts for guidance. Please don't hesitate to call us with questions at 800-241-9249. To measure the chest - Lift arms to shoulder height, take a deep breath and measure at the fullest point. 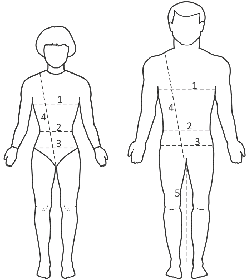 To measure the waist - Use your natural waist as the point of measurement. To measure the hips - Use the fullest point of the hips as the point of measurement. To measure the girth - Place the tape in the middle of one shoulder blade, pull the tape between the legs, and join the tape at the shoulder blade. To measure the inseam - Place the tape high in the crotch and measure to where the ankle bone sticks out. Click here to go back to All About Sizing.